I wanted to write an article today on glass repair. 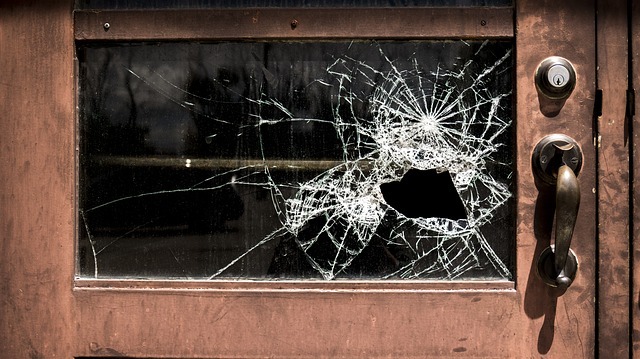 I place ads around for the web broken glass repair, or glass repair and sometimes when the window is broken people search for window repair. But, I am always asked, can you repair the glass? And the answer is no, we cannot repair broken glass. So, I sometimes get the response, “Well why did you advertise for glass repair, when in reality you aren’t repairing the glass? Honestly, it’s a good question. The answer is, there really isn’t a better way to describe it in the English language. We could say “glass replacement” but for some reason when people hear that, they think we are replacing the entire window and not just the glass. So, what we do is remove the broken glass portion and replace it with a new insulated glass unit. The cracks in glass, however small cannot be repaired but can only be replaced. I think the confusion comes from windshields, that can actually be repaired if the crack is small enough. However, that is actually laminated glass in your windshield, so that is different than the glass you have in your home. So, when you call for glass repair, yes you are technically calling for a glass replacement, but I think just the English language and the way we speak, it’s just easier to say glass repair. Especially since we are repair technicians, so all of the other trades call it repair so we get lumped in with them, you have AC repair, toilet repair, stucco repair etc. With all those other trades, if you change repair to replacement that’s where the price skyrockets. There is a huge difference between Stucco Repair and Stucco replacement. We’re talking several thousand dollars’ difference. Same holds true for Air Conditioning or roof repair. Since repair is considered a minor job while replacement is considered a major job, and since we are doing relatively minor jobs when we replace glass ($150 to $450) in most cases, it’s easier to describe it as a glass repair instead of a glass replacement. If we only advertised for replacements I’m afraid people wouldn’t respond thinking either A we don’t do what they need, or B we are going to be very expensive. At the end of the day, the reality is you need your window fixed, and we do that. We do is quickly and at a fair price, regardless of what you call it. So, if you have an issue with your window, whether the glass is broken or not, give us a call and we can help you out.